I’ve been spending time in Ashfield getting ready for the coming semester. Vivian is hard at work with the garden. We lined our blighted tomatoes along the porch screens to save what we could (which was about 10%). Garlic is on the floor on the sleds. 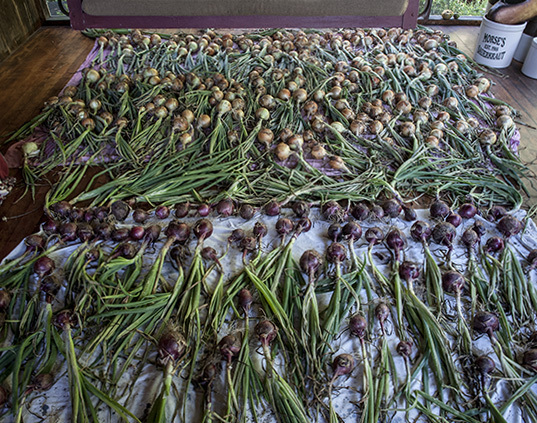 Our yellow and red onions almost covered the porch floor. One favorite aspect of the harvest is the fermentation. So far this year’s highlight is our first batch of kimchee made from garden fresh Chinese cabbage. Better than the local stuff from the Korean market. 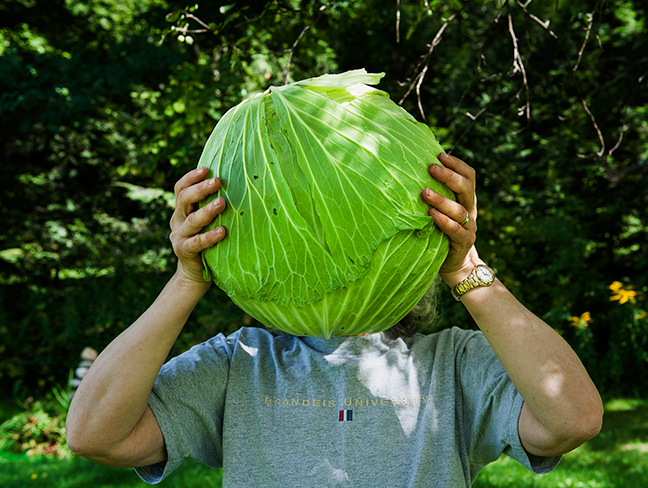 This big green head is bound for our first batch of sauerkraut. I just realized that I don’t have a picture of our pickles. My first choice are the half sour brine pickles that ferment for about a week. We’ve got a batch in the fridge now with a couple of more crocks still fermenting. 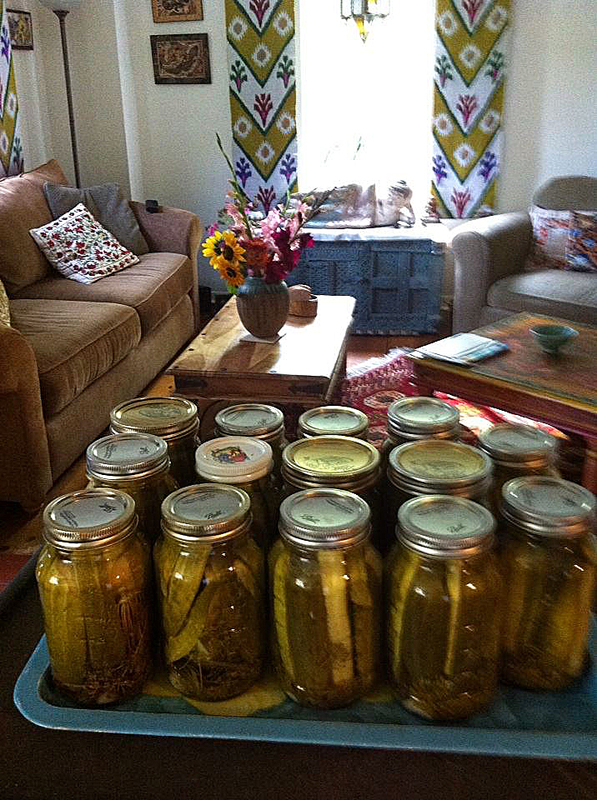 Vivian also makes jars of dill pickles. Below is one of her pictures. Waiting for the dill jars to seal. She sure makes a good picture of pickles. I should get her an iPhone tripod for the indoor shots. Although it is just fuzzy on one side. Fixing it looks like a job for Instagram. 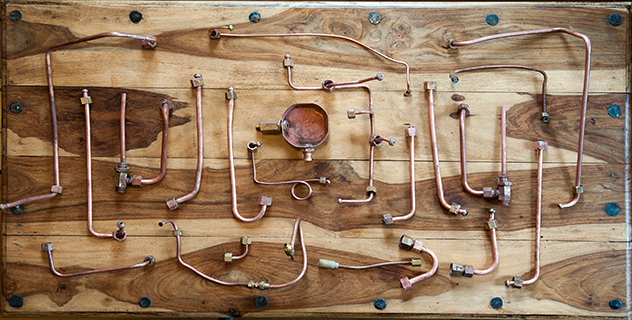 My Espresso passion, in pieces. If Vivian’s passion is the garden, mine is the coffee, specifically espresso. 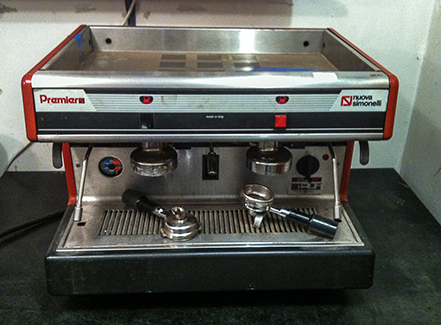 The Nouva Simonelli Premier S in non-working order. 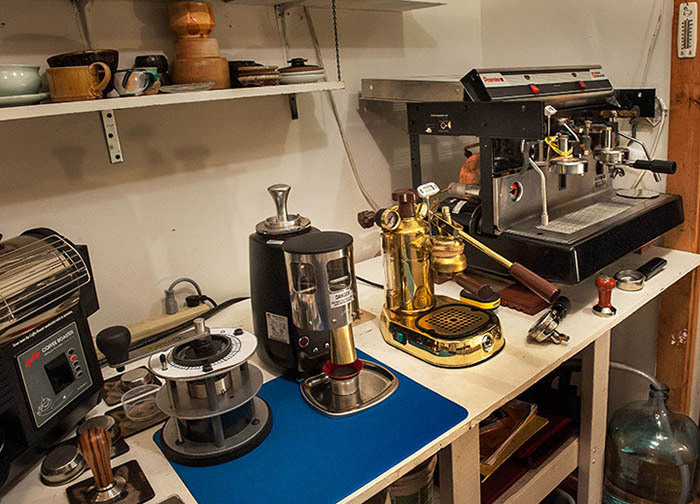 Actually, my be-at-home passion is wrapped up in the totality of espresso– from bean to cup. 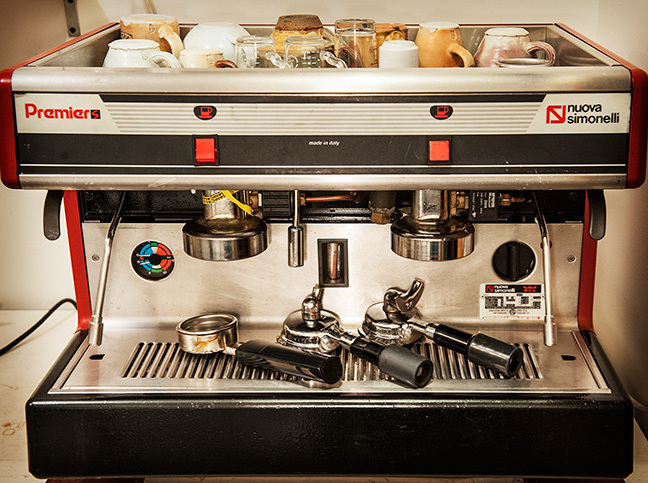 Above is a 20 year old machine that I got from Melissa, the professional coffee roaster and barista at The Elbow Room in beautiful downtown Williamsburg. I got it out of her cellar in March and I dismantled it in April. The Premier apart and mostly in labelled bags on the porch. 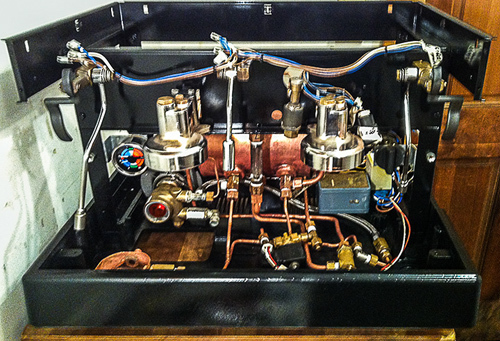 I was a complete novice to espresso machine restoration. I always like to take things apart, though. I needed to make order out of chaos. 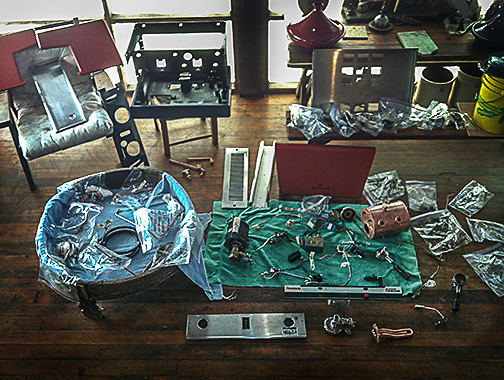 The Premier sat around in pieces for a month while I descaled it and decided which parts needed replacing. Patterns emerged as I familiarized myself with the complexity of my previously 80 pound machine. When May came I began to think that I wasn’t going to get it back together again. There was one ace-in-the-hole. I had meticulously photographed every step of the take-down with my iPhone. I just had to follow the pictures in reverse. 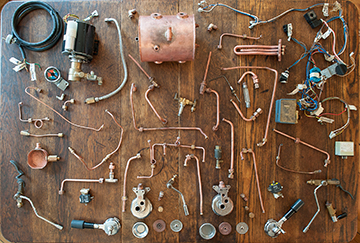 The copper and chrome skeleton begins to reassemble itself with the help of many wrenches and lots of teflon tape. Next, the testing came. 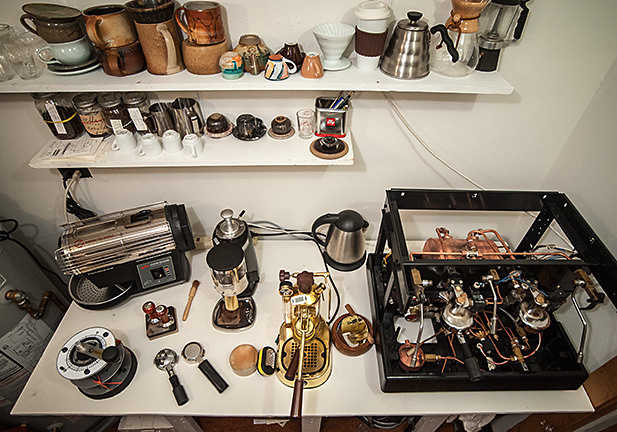 My mass of pipes and gaskets was not making coffee, or pumping water. The machine sat there for another month. No matter how I looked at the Premier, it didn’t make me feel like a successful barista. It needed a rebuilt water pump and who knew what else. Success! The NS Premier S rises to pour another espresso, and steam some latte. I extracted my first espresso from the Premier on July 4th. The rebuild took me almost 4 months. I still only have one brew group working, but I needed to pause and enjoy some great coffee. You can see the rubber band on the left brew group. I use that to hold a thermometer to take its temperature. Coffee likes to be brewed a bit below boiling. So now you know what I do when I am not teaching or running around the world making pictures. 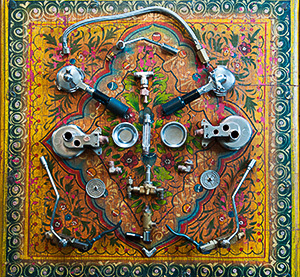 Making art out of life is a constant. 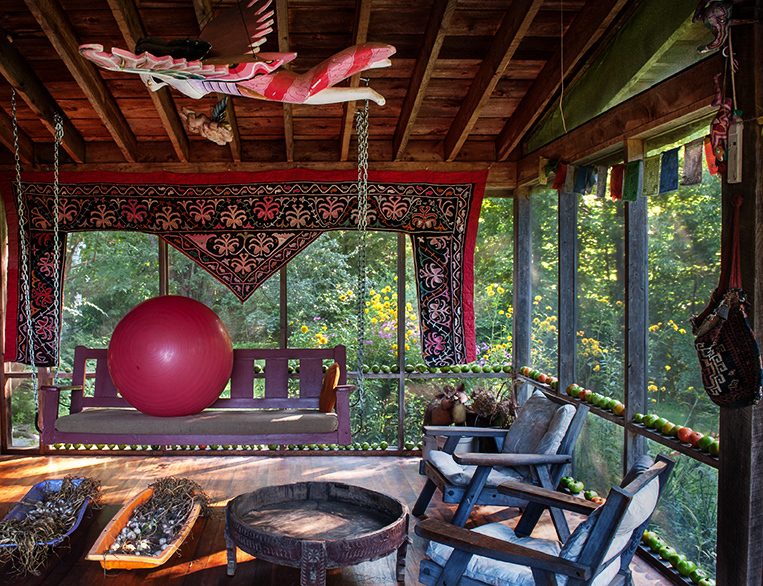 If life is short and art is long, living a conscious life is simply part of making life long art. Your photos (and comments) are much appreciated as always, Frank.